The Citadel of Hue resembled nothing so much as the ruins of Monte Cassino after allied bombs had reduced it to rubble. An avalanche of bricks littered the streets and open spaces, and loose piles of masonry provided cover for both sides in the battle for the fortress. With every explosion of bomb or shell, the air turned red with choking brick dust. Having fought through Hué block by block, house by house, then yard by yard, the U.S. Marines were now engaged in what a company commander called a “brick-by-brick fight” to drive the North Vietnamese the Citadel. 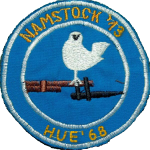 Prior to the 6th anniversary of the foundation of NAM and 45th anniversary of the Tet Offensive we would like to recommend our new Airsoft event. 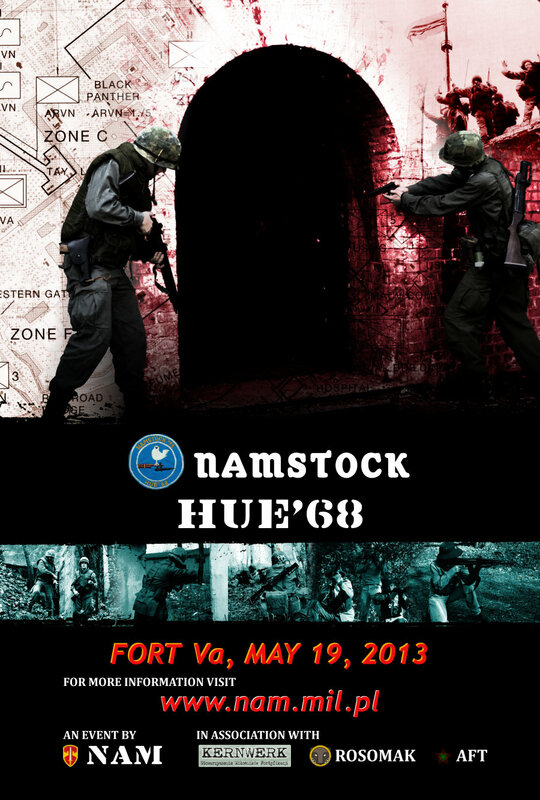 NAMSTOCK: Hue’68 will take place in Poznan at Fort Va (Bonin) on May 19, 2013 at 9:30 AM. The event is organized in joint cooperation with Rosomak, Kernwerk, Seethersky Labs (the developer of the Airsoft Force Tracking mobile application) and a group of our friends. More details for English-speaking Airsoft fans are available via e-mail.